Many clients think that milk is the cause of their grumpy guts. Sometimes it is and sometimes it isn’t but recently lots of people have been asking about A2 milk. So when might A2 milk help? Firstly if you have a grumpy gut you should visit your GP and have some investigations. There are many potential causes and knowing more about what is going on will help you and your doctor work out what might help. When might A2 milk help? If you have been diagnosed with Irritable Bowel Syndrome or Crohn’s Disease or if your investigations have failed to turn up anything specific then A2 milk might help but it’s just part of the picture. Your dietitian will be able to assess your individual circumstances and advise you whether it might be worth trying A2 milk. For example if you have IBS and have tried the first line dietary advice set out in my previous post (see link below) it may be worth trying A2 milk before embarking on the FODMAP diet. Further information about the FODMAP diet can be found here. 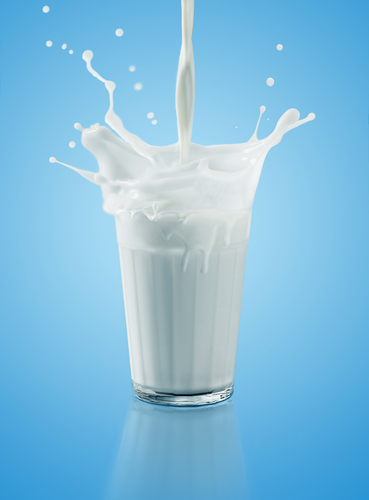 Casein is the main protein in milk and it comes in a number of forms including one called beta-casein. This also exists in several forms including A1 beta-casein and A2 beta-casein. Most milk contains both A1 and A2 beta casein but A2 milk comes from cows specially selected to naturally produce milk that contains A2 beta-casein and no A1 beta-casein. There is some evidence that shows that people with digestive discomfort from milk can drink A2 milk without experiencing discomfort. A lot more research is needed but A2 milk is the same nutritionally as standard milk and so other than the fact that it costs a little more there is no harm in trying it . You can find A2 milk in most supermarkets but you can enter your postcode at the link below to find out your nearest stockiest. This entry was posted in A2 milk, Dairy foods and tagged Crohn's Disease, FODMAP, IBS, milk by Stephanie.fade. Bookmark the permalink.